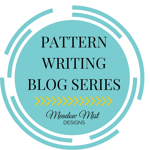 I subscribe to Leah Day’s Free Motion Quilting blog weekly newsletter. Each week has an update on a new free motion quilt design. This quilt along began January 4th, so you still have time to catch up. It features both quilting and free motion videos. If you want to try free motion quilting Leah Day can get you started. Click on the link above or on the icon below. Enjoy! This information is posted on my blog for informational purposes only. I enjoy sharing good websites for quilters. Hello Pieces to Patch! Thank you for checking out my post and commenting. You made me smile this morning. I see from your blog we have a ton of interests and favorites in common. I look forward to getting to know you in Blog Land!